We are pleased to present ECDPM's Annual Report 2013, which highlights the activities of the Centre over the past year. 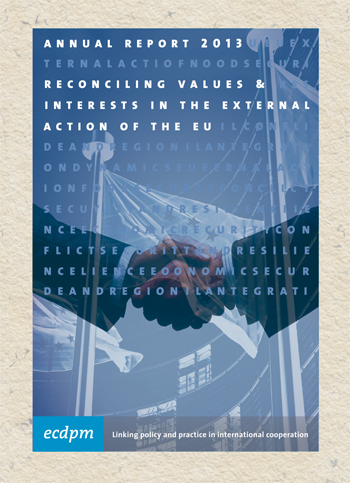 The thematic focus of the report is 'Reconciling values and interests in the external action of the EU'. Please use the menu on the left side or the links at the top or bottom of every page to navigate through the online edition of the Annual Report 2013.